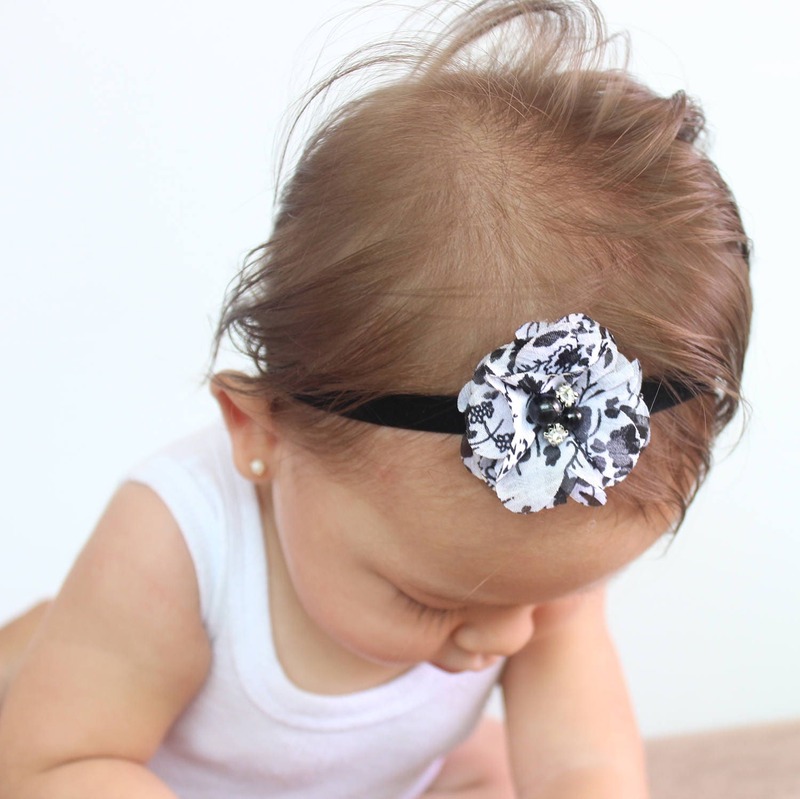 This Black and White Headband features a Floral flower topped with 2 Rhinestone and 2 pearls. The flower is sit on top of a beautiful pink and white pearls trim. Just perfect for any age!